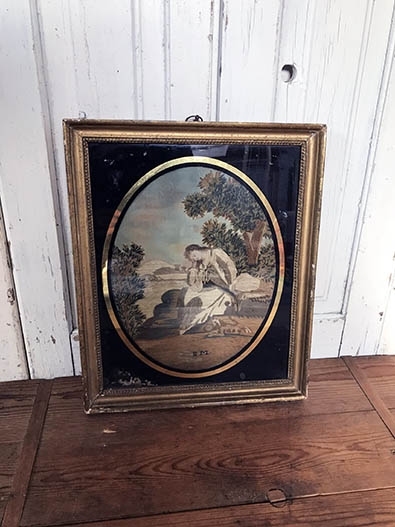 Beautiful antique silkwork and painting with original frame and glass, ca. 1820. 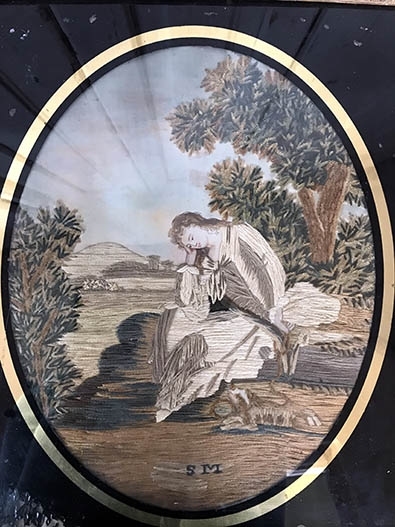 Embroidered with silk thread and silk chenille with painted details, very fine work with lovely muted colours. 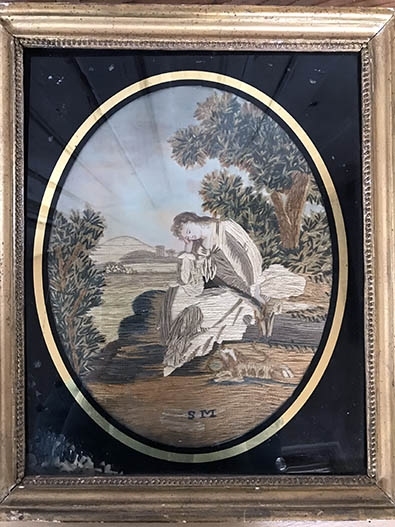 The silkwork is in very good condition, the condition of the frame is more than reasonable, only the passe-partout that is painted on the back of the glass has some flaking, mostly in the lower left corner. Total measurements approx. 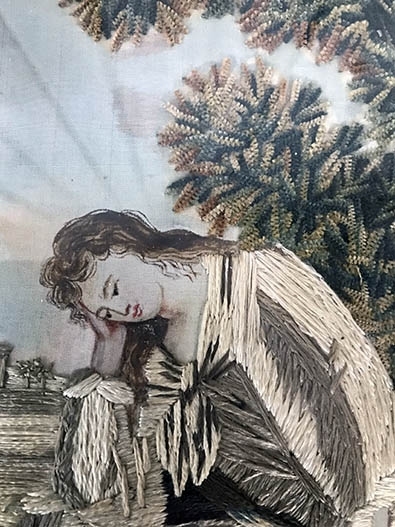 36,5 x 30 cms, silkwork approx. 27 x 21 cms.